Apple and Stanford are now launching a joint study to research irregular heart rhythms using Apple Watch. The study was first announced back in September and kicks off recently. 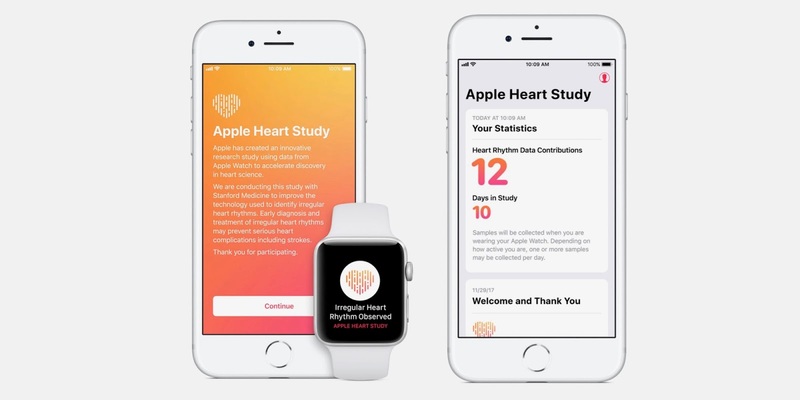 Apple launches the Apple Heart Study app, a first-of-its-kind research study using Apple Watch’s heart rate sensor to collect data on irregular heart rhythms and notify users who may be experiencing atrial fibrillation (AFib). The study is open to anyone in the United States with an Apple Watch Series 1 or later (first-gen is not compatible) who is at least 22 years old. Simply download the Apple Heart Study from the App Store to get started. 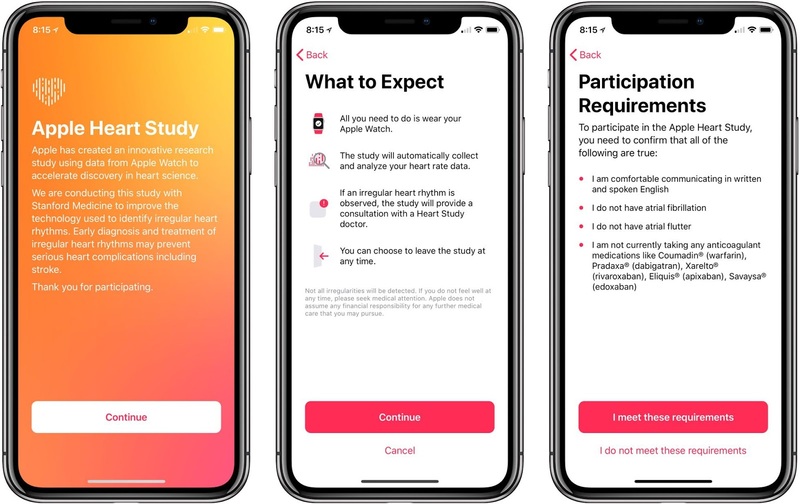 Apple Heart Study is available to download from the App Store in the United States. Apple Watch also saw the first FDA-approved accessory with an EKG reader which further advances its role in the health space. The Apple Heart Study app is an innovative research study that uses data from Apple Watch to identify irregular heart rhythms, including those from potentially serious heart conditions such as atrial fibrillation (AFib). This study is being conducted in collaboration with Stanford Medicine to accelerate discovery in heart science. – AFib is one of the most common forms of irregular heart rhythm. It can lead to blood clots or heart failure and is a leading cause of stroke. AFib affects tens of millions of people — but many of those people don’t experience symptoms, so it often goes undiagnosed. – The Apple Heart Study uses an app designed to notify participants if an irregular heart rhythm is observed. – The app will passively monitor your heart rate along with your heart rhythm. If an irregular heart rhythm is observed, the app will notify you. – After the notification, you’ll receive a free video consultation on your iPhone with the study’s medical professionals for further analysis. – The video consultation connects you with a board-certified, licensed primary care provider from American Well – 24 hours a day, 7 days a week. – In some cases, the doctor may recommend a BioTelemetry electrocardiogram (ECG) patch for additional monitoring. The patch will be mailed to you at no cost and should be worn for seven days. The ECG data gathered over this period will be used to determine whether AFib or another type of irregular heart rhythm is present. – Participation in the Apple Heart Study is voluntary. After you download the app, you’ll be asked to give your consent for participation. The heart rate sensor data you provide over time will be collected by Stanford Medicine and Apple for research analysis. Apple will not have access to any information that can directly identify you.